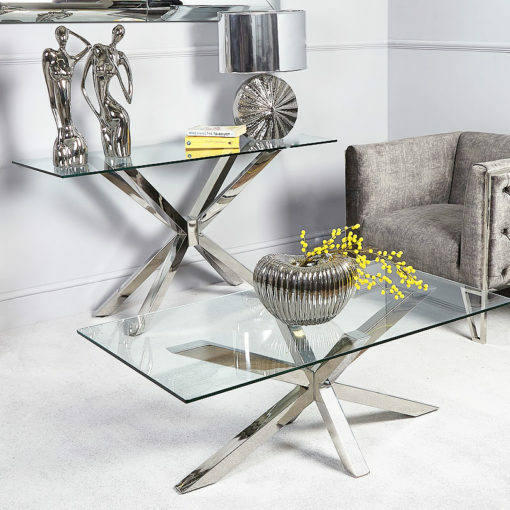 The alluring Debonaire console table features a tempered glass table top and a sturdy reflective chrome cross base. 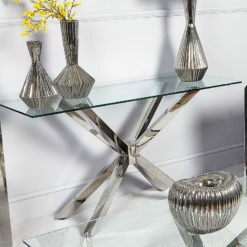 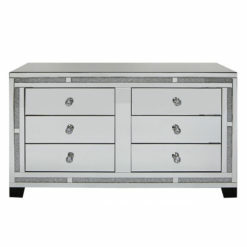 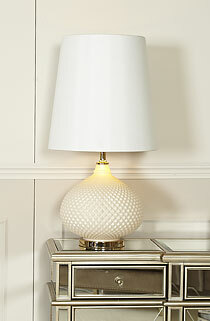 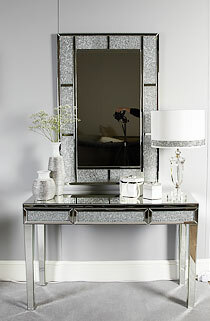 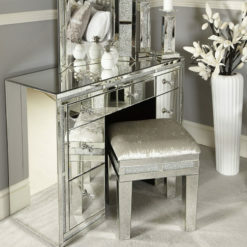 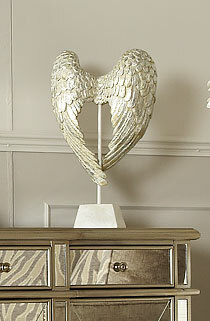 Brighten up your living room or entryway with this alluring Debonaire console table. 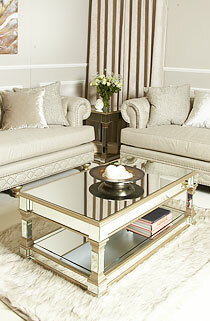 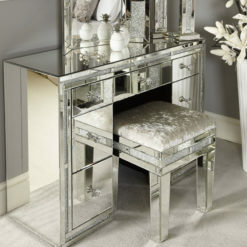 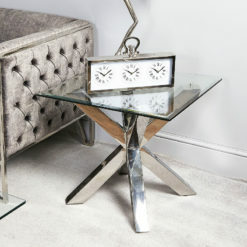 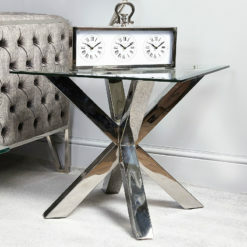 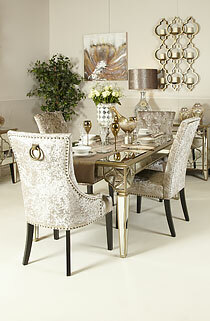 Featuring a tempered glass table top and a reflective chrome cross base will add instant glamour to any modern home.